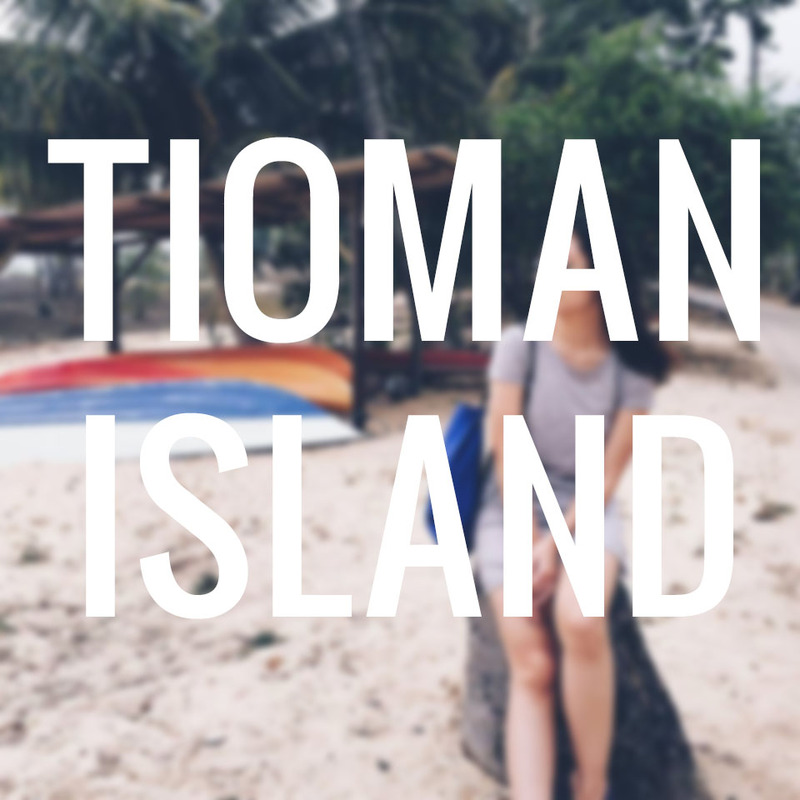 I have quite a few review posts to edit but before I get into all the chaotic seriousness, I figured I might do a more lighthearted and relaxed blog post first because I'm quite the procrastinator like that. So ladies and gentlemen, I present to you, my favourite brushes that I use almost everyday whenever I put on my daily makeup. 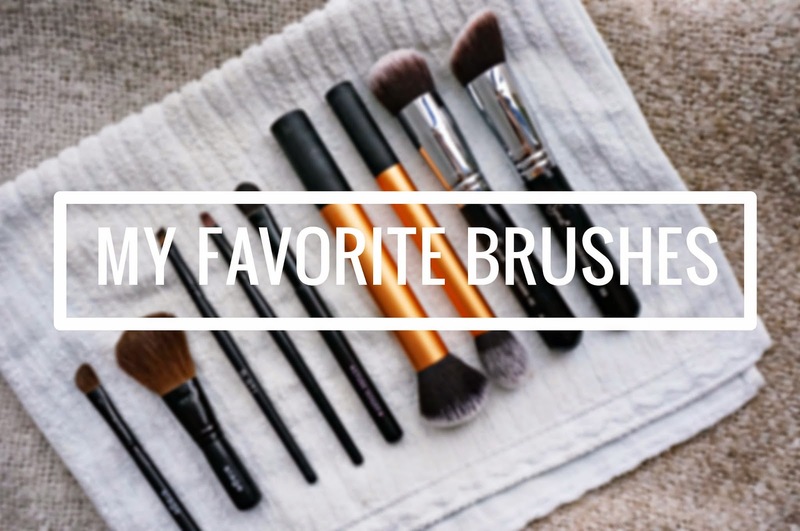 I don't consider myself of having a ton of makeup brushes, because most of the time I end up finding out the convenience of our mighty hands and fingers, oh and not to forget, the beautiful invention of the Beauty Blender (Google it if you don't know what it is!). I've been using the Beauty Blender for my base makeup for a good whole year I suppose, and no doubt it is amazing, but sometimes I like to switch things up a little, some new sparks for the routine, know what I mean? 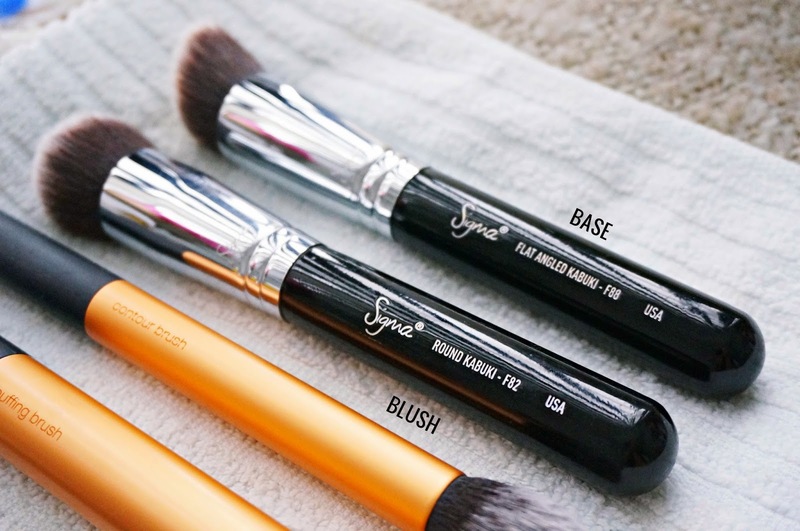 Lately, I've replaced my Beauty Blender with Sigma's Flat Angled Kabuki simply because the brush provides more coverage than a sponge and I've been needing that recently. I use this brush for my foundation/BB cream and concealer. From the same brand, I use the Round Kabuki for my blushers and it just gives awesome pigmentations, nothing to complain about other than having to always remind myself to use a light hand when applying. These two brushes are from RealTechniques and I love them because the bristles are so amazingly soft. 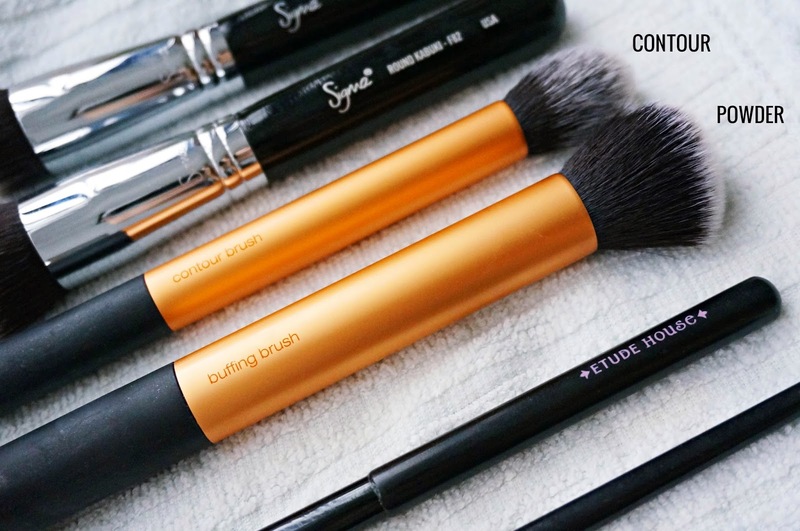 I use the Buffing Brush to dust on powder to set my makeup or to remove excess shine. 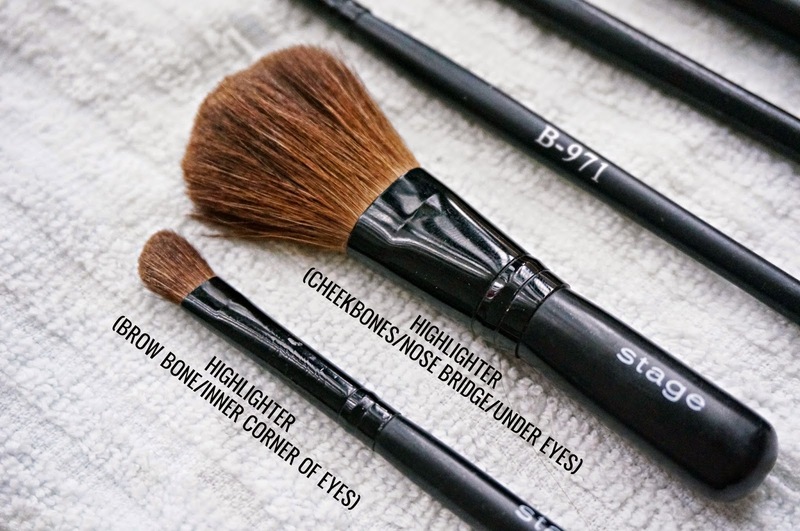 No surprise, I use the Contour Brush to contour and define my cheekbones and jawline. Moving on to the eye makeup, starting from the brush on the far right, it is just an eyeshadow brush I got from Etude House ages ago when I first started wearing makeup at about 15 years old. I use this to apply darker contouring shadows onto the crease, and also on the side of my nose to further define. I generally use my ring finger to apply light-coloured shadows because it is so much faster and easier this way. The brush on the middle I got from Sasa also when I was 15. The bristles are splitting after all these years but I still use it to apply eyeshadows on my lower lash lines. And lastly, also from Sasa, I use this brush to wing out my pencil eyeliner whenever I don't feel like wearing my gel/liquid eyeliner. Last but not least, these two mini brushes are from Stage's travel kit which I use to highlight at the very end of my makeup routine. I tend to use the bigger brush to apply highlighter on my cheekbones, nose bridge and under eyes, areas I want to bring out or brighten. 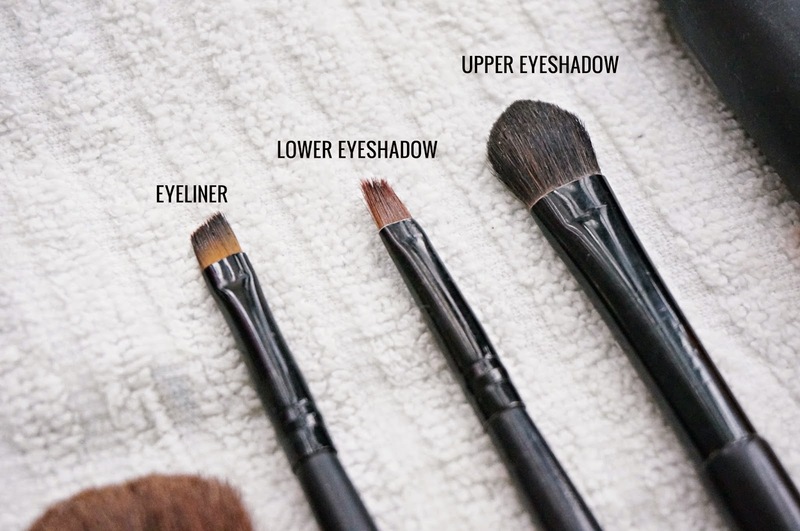 While the smaller brush is used to apply highlighter on smaller spaces such as my brow bone and the inner corner of my eyes to give them a good sheen and attract more light to those areas. So this is it! Hope you enjoyed the little sharing session of my humble everyday brush collection and I'll talk to you in the next one.